Cell Name: 12V20Ah polymer lithium battery Battery type: KXD-12V-20Ah Nominal voltage ( V ): 12V Nominal capacity ( mAh ): 20Ah Maximum charging current:&le; 3A Continuous discharge current:&le; 10A Pulsed discharge current:&le; 30A Service life: more than 500 cycles Charge temperature ( c ): 0~ 45 Discharge temperature ( c ): -20 ~ 60 Storage temperature ( c ): -20 ~ 35 Size ( mm ): 44 ( T ) x 95 ( W ) x 150 ( H ) Overcharge protection voltage ( V ): 12.6V Discharge cut-off voltage ( V ): 9.0V The output terminal and the line: with tags, plugs, connectors, customizable configuration Features: high capacity, Gao Fang platform, long working time, long life welcome OEM/ODM orders Application: wireless monitoring and control equipment, medical equipment, instrumentation, LED lamps, traffic signs, small portable appliances, power tools, toys and so on. If in any doubt please dispose off the battery. 2) Always handle the batteries with great ca re. Also lihtium ion batteries could be packed with wire and connector as requested. 2.Develop VIP and Distributer: Giving customers&rsquo; chance to become our long-term business partner,VIP Client,Distributer and enjoy more priority rights and discounts 3.Offer multi-shipping. MIX container: All of the goods you purchased can be ship out with our products together,we provide safer and cheaper transportation way. 4.Analysis, Guidance,Direction: Offer Analysis on current situation and potential for future development on battery filed.
) Rapid charge 2.0 hours (Ref. W 85.0mm max. L 135.0 mm max. We will arrange sampling inspects for 2-3 times before shipment to ensure the cargo is approved by our clients. 6&gt;. -We will track the shipping status time by time so that buyer can receive our goods in time and safely. We can provide different free promotions, and we can also support you do some attractive suitable local advertisement. 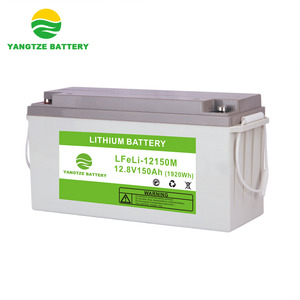 Rechargeable slim 12v 1200mah 2400mah lithium polymer battery for tube light t8 battery rechargeable emergency light batteries rechargeable emergency light batteries 1.Specifications: Model No. Rechargeable slim 12v 1200mah 2400mah lithium polymer battery for tube light t8 battery rechargeable emergency light batteries 5. 6.Packing detials 1) 1pc battery in 1pc poly bag. 2) 2pcs batteries with poly bag in white box. 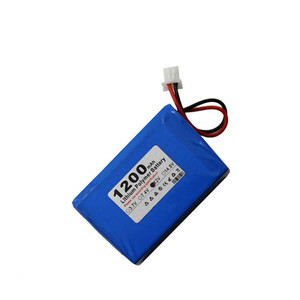 Alibaba.com offers 17,637 12v lithium polymer battery products. About 35% of these are rechargeable batteries, 3% are battery packs, and 3% are storage batteries. A wide variety of 12v lithium polymer battery options are available to you, such as li-polymer, li-ion, and ni-mh. You can also choose from 12v, 9v, and 1.2v. As well as from free samples, paid samples. 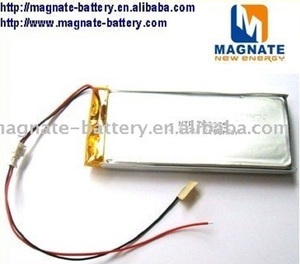 There are 17,640 12v lithium polymer battery suppliers, mainly located in Asia. The top supplying countries are China (Mainland), Hong Kong, and Taiwan, which supply 99%, 1%, and 1% of 12v lithium polymer battery respectively. 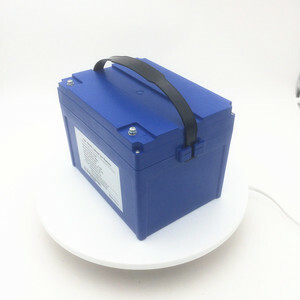 2v lithium polymer battery products are most popular in North America, Eastern Europe, and South America. You can ensure product safety by selecting from certified suppliers, including 5,041 with ISO9001, 2,161 with Other, and 2,087 with ISO14001 certification.